We have many exciting events happening at Oceanstone, there is something for everyone to enjoy. Events include our Up Close & Coastal Concert Series and Gourmet Meal Experiences. Christine Campbell performs on May 4th at Oceanstone for Up Close & Coastal! We are so excited to have this amazing artist back in our midst! It’s going to be a night of great food, and excellent music as Christine Campbell performs hits from her latest album Roller Coaster. Roller Coaster offers a narrative of a small town Prince Edward Island girl who has become a powerful performer, known for her unapologetic mastery of guitar, piano and rock vocals. Christine Campbell launched her second album, Roller Coaster, in March 2017. It is a true representation of diverse influences. Inspired by hard rock and 70’s rock, as well as roots and blues. Top-caliber artists like Jeff Burrows of The Tea Party have added their musical talent to her songs. As a musician dedicated to her craft, discerning fans are thrilled by Christine’s live shows. She offers a unique mix of old and new-original songs in each performance. A bonus cover or two from her rock heroes and impressive jams and solos are also thrown in. 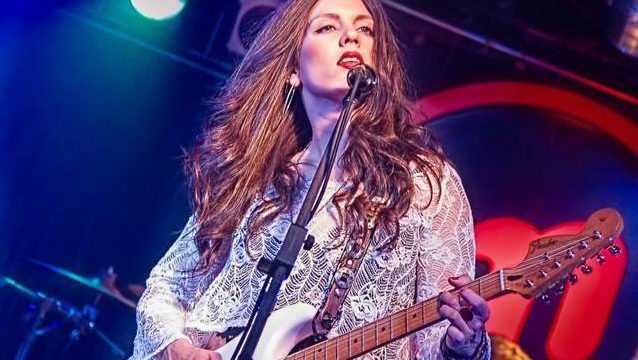 Whether playing intimate acoustic shows with her wingman, Blake Johnston (formerly of The Stogies), or rockin’ out, fully electric with her five-piece band, Christine Campbell’s live performances always attract loyal fans. You will be treated to a pre-show meet & greet with Christine during our cocktail hour. Then, we’ll be serving our mouth watering Oceanstone barbecue. While you digest, you can enjoy Chritine’s awesome sound. $65.00 per person, and include show, meal, and meet & greet.